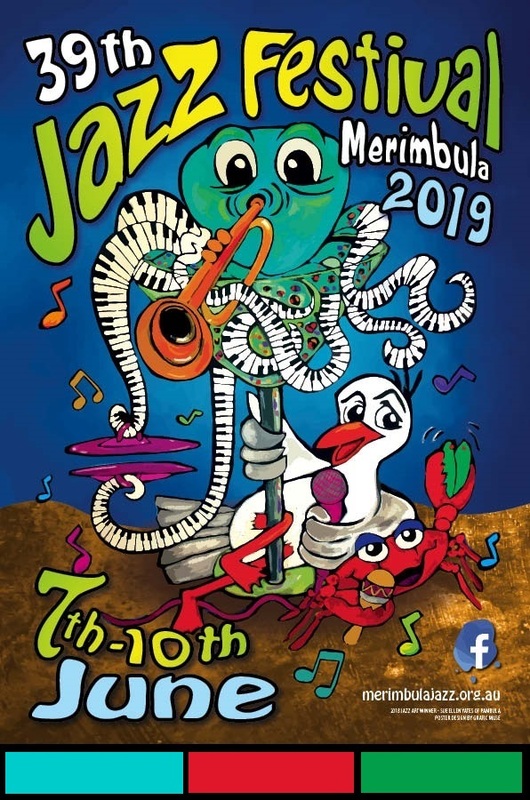 Welcome to our newsletter for the 39th Merimbula Jazz Festival, held as usual on the Queen’s Birthday weekend (which for 2019 falls on the 7th to the 10th of June). 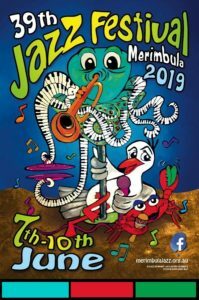 The Festival will be held in 6 venues, all of which are in Merimbula and within easy walking distance of each other. Our website will provide you with all the information you need to register – whether you are a band leader, musician or jazz lover. The colours for 2019 are aqua, red and green on white.